So how does it work? 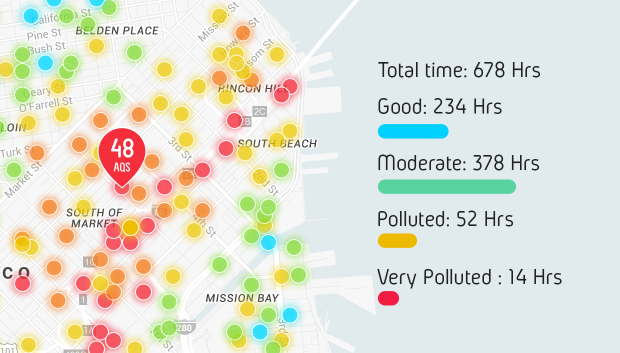 Co-founder Vera Kozyr tested the air quality for me in the TechCrunch studios. We clocked in around 60-70, depending on where we were in the room. Not bad, but not great either, according to Kozyr. The tube casing for Atmotube is contructed of stainless steel so it doesn’t set off any alarms.